CSA first became involved in the West Durrington site in 2011, following two earlier unsuccessful planning applications. The brief was to look at the site afresh and to produce a masterplan that was informed by a detailed landscape appraisal of the area, which considered the relationship of the site to the South Downs National Park, the neighbouring Ancient Woodland and the adjoining Goring Conservation Area. Following the preparation of the Landscape Appraisal, which formed the basis of an ES Chapter, CSA prepared a masterplan for 700 dwellings, a primary school and recreational open space. The scheme was granted outline planning permission in 2012 and CSA subsequently prepared the detailed design of the landscape infrastructure. 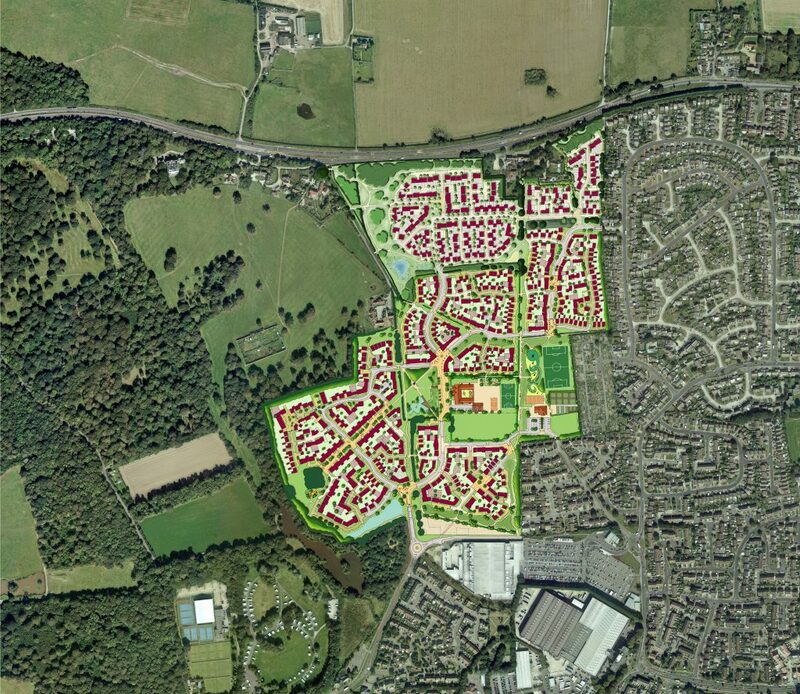 Following the success of the 700 unit scheme, CSA were retained by the consortium to prepare a further application for 240 dwellings on land to the north of the consented scheme. That site bordered the National Park on 2 of its 4 boundaries, a Conservation Area to the west, and several listed buildings to the north. Following extensive discussion with the Park Authority and the LPA, the scheme was granted outline planning consent in December 2017.